“Where It All Began,” June 15-20,Provincetown MA. 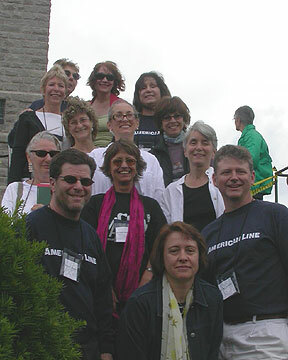 Susan Glaspell and Eugene O’Neill were brought together again in their beloved Provincetown, as the Susan Glaspell Society participated in the Eugene O’Neill Society’s 6th International Conference, June 15-20, 2005. Linda Ben-Zvi gave the keynote address on Friday June 17, “The Place of Provincetown in Glaspell’s Writing,” and the Glaspell Society hosted a wine-and-cheese reception following the Provincetown Fringe Festival’s second annual Susan Glaspell play-reading marathon on Friday, as well as sponsoring a panel on Saturday and a roundtable on Sunday. Many thanks to O’Neill Society President Zander Brietzke and Vice President Steven Bloom for their warm welcome and the chance for scholars of these two founders of American drama to come together. residents in her plays and fiction. 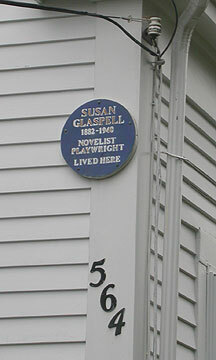 Glaspell’s home in Provincetown. Saturday included a tour for SGS members courtesy of current owners, Mr. and Mrs. William Teague. 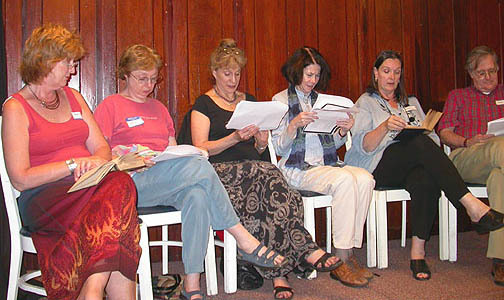 Provincetown Fringe Festival director Karen Maloney (left), SGS member Judith Barlow, and others read Glaspell and Cook’s Tickless Time. Suppressed Desires and Woman’s Honor were also read. Following the readings, the Glaspell Society hosted a wine-and-cheese gathering at the Provincetown Inn. 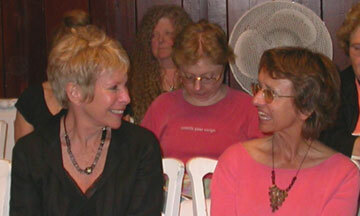 Linda Ben-Zvi and Basia Ozieblo discuss the readings at P’town Fringe Festival marathon. Robert Sarlós and son Tibor enjoy the play readings. Susan Glaspell Society Panel: “New Approaches to Susan Glaspell’s Theatre,” June 18. Chair: Martha C. Carpentier, Seton Hall University. “Writing for the Provincetown: Glaspell’s ‘New Woman’ in Chains of Dew,” Barbara Ozieblo, University of Malaga. Susan Glaspell Society Roundtable: “Susan Glaspell in Context,” June 19. Moderator: Linda Ben-Zvi, Tel Aviv University. Sunday’s roundtable discussion took place at the Pilgrim Monument museum. Participants Marcia Noe, Cheryl Black, Sally Heckel, J. Ellen Gainor, Sharon Friedman, Basia Ozieblo, and moderator Linda Ben-Zvi held an animated discussion that included audience members and ranged from the future of Glaspell studies to the relationship of Susan Glaspell and husband Jig Cook. 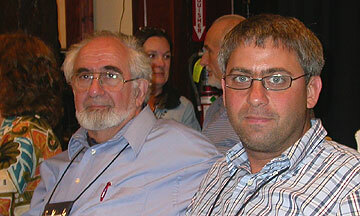 This entry was posted in 2005 Conferences, Conferences on June 30, 2005 by Martha Carpentier.